Rayo Vallecano, currently in 19th place, have parted ways with Michel just 10 matches out from the end of the LaLiga season. 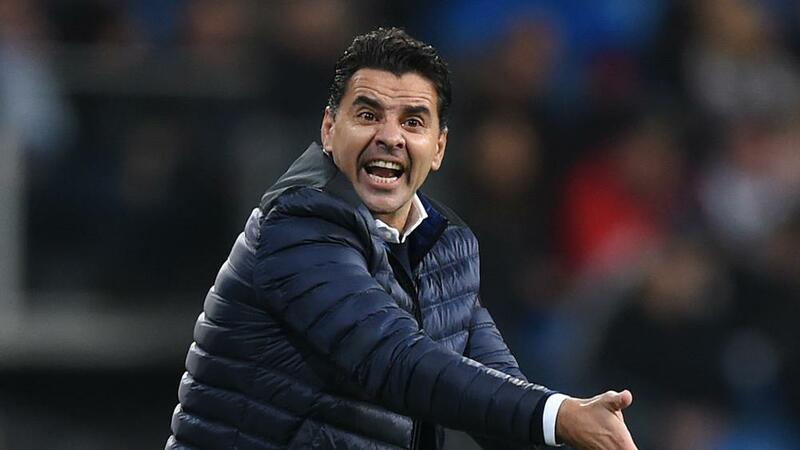 Relegation-threatened Rayo Vallecano have sacked head coach Michel following a run of seven straight losses in LaLiga. Michel guided Rayo to promotion from the second tier last term but has paid the price for a poor run of results that have left the club in danger of relegation. The Madrid outfit sit six points adrift of safety with 10 matches to play, having not collected a point since a five-game unbeaten streak between December 23 and January 28. Michel enjoyed two separate stints with the club as a player and took over as head coach following the dismissal of Ruben Baraja in February 2017. "Rayo Vallecano has taken the decision to dismiss Michel as coach of the first team," a statement read. "We thank him for his invaluable work during these three seasons as head of the squad and his unquestionable successes, reaching the promotion to LaLiga in 2018, a fact that places him in the honour roll of our almost century-old history. "[We offer] our most sincere recognition of your work and our best wishes for your future."